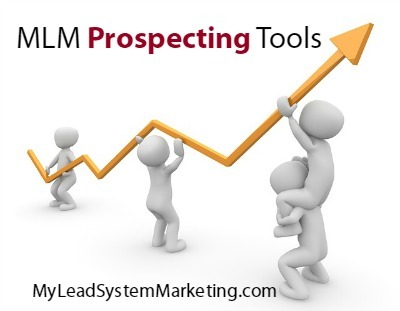 Using MLM Prospecting tools can mean the difference between success and failure in your home business. Prospecting is a vital part of your business. The more people you find to share your product and business, the better chance you have of building a large MLM team. Learning how to get prospects in network marketing is the key skill you need to learn. Beyond that, keeping track of those prospects and your conversations is equally important. That’s where MLM prospecting tools can really help you get your message out to the world, stay organized and keep track. Find – find people to talk to. Invite – invite them to look at your product, service or business. Share – share the information with them if they agree to it. Followup – followup up after they are exposed to the information. Where the heck do you find all these people to talk to? You can hunt them down at the store, the gym, events and all that. OR, you can use YOUR time more effectively. Here’s my secret MLM prospecting tools that help me to create a very successful business that I run completely online. I get new leads and customers daily and have MLSP to thank for that! MLSP Sites blogging tool – Recently offered to the MLSP library of tools, building a blog is one of the most powerful strategies you can use to get MLM leads. This is exactly how I get new leads and customers every day. This blog was built with MLSP Sites. You can read more about it here. 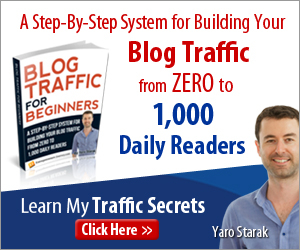 All I can say is that not only do you get a powerful blogging platform but all the training you need to get it set up! I have other blogs and still make money from blog posts I wrote in 2009. Blogging is one of the most powerful MLM prospecting tools ever! I can’t figure out why any network marketer would not add blogging as a way to get more leads for their business. Works for you 24/7, are you kidding me? Who would pass that up? CRM (customer relationship manager) – How are you keeping track of your leads? Writing little pieces of paper all over the place? The MLSP CRM is incredibly comprehensive and provides you with a way to keep track of everything about a lead, including tracking your conversation, creating tasks, labels and ratings. You can check out this video here which will tell you more about this incredible MLM prospecting tool. Capture pages – Yes, you need these! 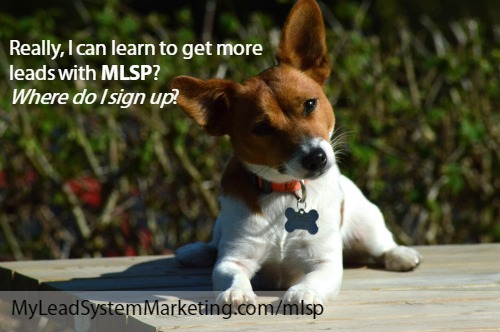 After you set up your blog with MLSP Sites (you should definitely do this! ), you’ll need to capture the contact information of your leads. Then you can continue to build a relationship with and market to them long after they leave your website. Most people don’t buy or jump on an opportunity on first glance. That’s why you need to market through email to build trust, educate and eventually turn those leads into customers or business partners. Training – Do you know everything you need to know? I didn’t think and neither do I. That is why this is truly the secret weapon of prospecting tools. 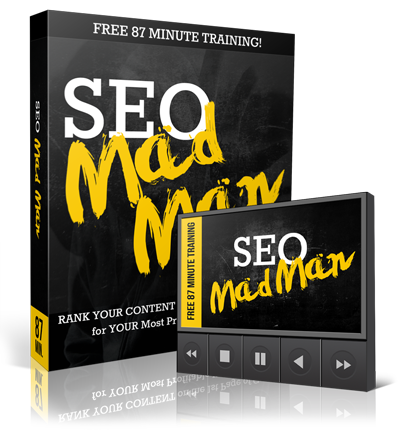 Can you imagine thousands of hours of training for over 25 online marketing strategies? What would you do with that? Well, you’d learn how to market your business, get more leads, and build a wildly successful MLM business. You’ve probably been researching and trying to figure out how to get more leads for your business. All that busy work won’t get you anywhere fast. Make a decision. Once you have the right MLM prospecting tools set up, you can benefit from getting leads online as well as customers and even people joining your business. My results have been incredible. I have MLSP to thank! CLICK HERE to check out this system now!